Discover Ukrainian culture or reconnect with your Ukrainian roots through hands on cooking and craft classes. Come to the Ukrainian Center to experience firsthand our engaging adult workshops and classes that range from 2 hour classes to multi-week courses. Call 612-379-1956 or email info@uaccmn.org with questions. Pre-registration and pre-payment are required unless otherwise indicated. Register and pay on Eventbrite (links are in each event) no later than two weeks BEFORE class begins! NOTE: Materials included in the registration fee unless indicated otherwise. Finished products may be taken home (when applicable). All activities and events must be cancelled a minimum of 72 hours in advance to receive a refund. DEMO COOKING CLASSES: GET READY TO EAT, DRINK, AND LEARN. 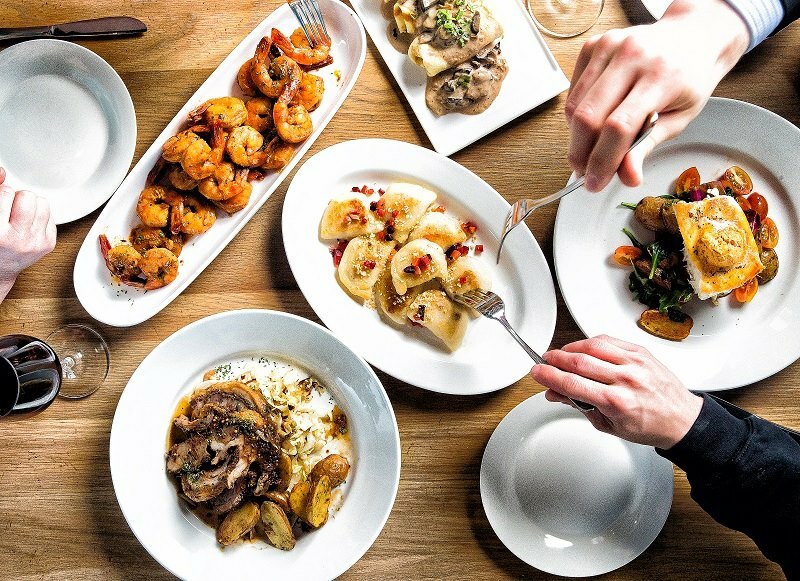 1-2-items that are prepared by our chef, right in front of you and your friends. Family style tasting and sampling of everything created. Our chef shares her tips and tricks of the trade so you can be a more confident cook. Coffee, tea and sparkling water. Printed recipes to take home for every item created. The theme of the class changes monthly and with the seasons, so check back often for new information or follow us on Facebook for instant updates. The cost for a cooking class is $50/person, with a minimum of 8 people. There is a cap of 10 students for each cooking class, so sign up fast! All seats must be pre-registered and paid one week before the beginning of each class, no refunds will be issued after this date. Hillary Robertson trained as a chef with two prestigious cooking schools (Johnson & Wales and Le Cordon Bleu). She’s a super taster and avid baker, and believes that kitchen time ought to be fun time for everyone. She’s taught a wide variety of cooking classes over the years, including an Iron Chef competition, knife skills, and week-long cooking camps. She has been delighted to participate in the Mall of America’s Veteran’s Day Chef Challenge, both as a competitor (coming in second to her favorite MOA Executive Chef), and as a judge. 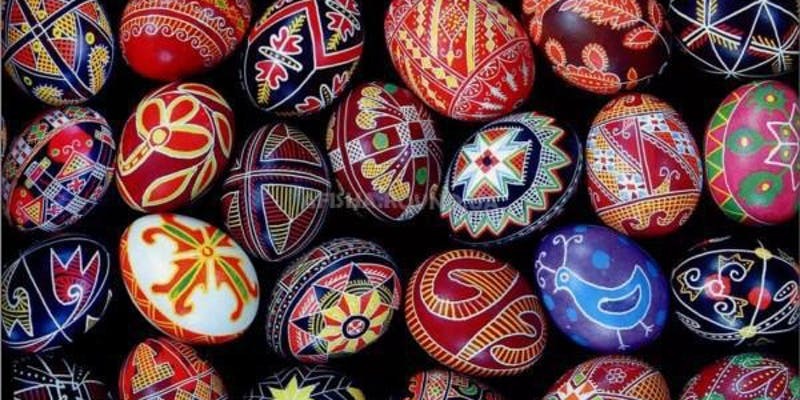 In this hands-on workshop in the art of Ukrainian egg decorating, you will learn the basics of pysanky, a Ukrainian tradition of using wax and dye to decorate eggs in celebration of Easter. No prior pysanky making experience is required. You will learn the entire pysanky making process, starting with dividing the egg into sections, penciling in the elements of the design, applying the molten wax, dying the egg in several steps and finishing it by removing the wax. You’ll start by creating a simple, 2 or 3 colored pysanka, and then learn the more advanced techniques to design pysanky with decorative patterns from various regions of Ukraine. These intricate and unique designs can be enjoyed all year round and make a wonderful gift for you or a loved one.Your materials fee includes 3 different sized kistkas, wax and all the instructions to continue creating your pysanky eggs at home. What to expect: We will be working with dyes so make sure you wear something you don’t mind getting dirty! You are welcome to work on as many eggs as you would like for the duration of the class. You can bring snacks and non-alcoholic beverages to help keep your creativity fed! Ally Perchyshyn has been making pysanky since the age of three. She was taught by her grandmother, Luba Perchyshyn, a renowned pysanka artist whose work is on permanent display at the White House in Washington D.C. Her family has kept the tradition of pysanky alive through their Minneapolis-based store, Ukrainian Gift Shop. The oldest Ukrainian arts and crafts store in the U.S., the Ukrainian Gift Shop sells pysanky-making kits to people all over the world, including Ukraine. Ally’s artistry expresses itself in many forms, including folk dance with Cheremosh Ukrainian Dance Ensemble. Pysanky-making has been a huge part of her life and she is thrilled to share it with all of you. Born in Minneapolis, Michael Prokopiuk grew up heavily immersed in the Ukrainian culture. He has been with the Cheremosh Ukrainian Dance Ensemble for a nearly two decades and he has been fortunate enough to visit the homeland of his heritage. He is visually and artistically inclined with an affinity for a variety of art forms, excelling in the Ukrainian art of pysanky making. Michael is excited to share the intricacies of pysanky making with all of you!